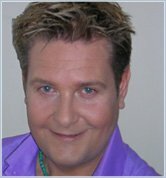 David Wells is one of the UK's most popular psychics and astrologers. He is one of the presenters of the UK Living TV's Most Haunted program and writes regularly for the national newspapers and magazines. Use David's Moon Sign Calculator to find your moon sign and learn what it means for you.